1. 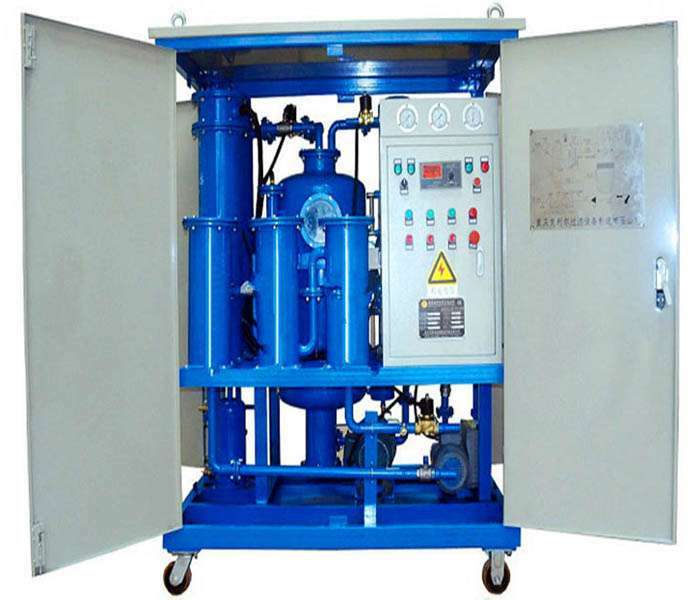 Vacuum Lubricating Oil Purifier could effectively remove the iron flake, dust, impurities, water and organic substance contained in waste oil, as well as organic and inorganic acid, enabling the recovery of performance of lubricating oil. 2.It has a strong anti-emulsifying capability, which could separate the large amount of water from oil and the trace water from oil. 3.It has a strong impurity removing capability due to special filtration materials applications which increase filtration area and accuracy. Its large area and intensive precision filtration materials can remove the tiny particles in the oil while the backwash function automatically cleans the large amount of dirt in the filter. Serving as a cleaning device to the system, thus the seriously contaminated oil can be brought back to a specification under control. 4.Especially fit to high viscosity lubricating oil, freezing machine oil ,hydraulic oil and gear oil purifying.